This is a great looking example of these extremely popular boats that, whilst she retains all the usual features that this model offers, also comes with an incredible racing outfit that should suit anyone wanting to race seriously. This is the most comprehensive sail suite I've ever seen, offering up an amazing combination of sizes and types. 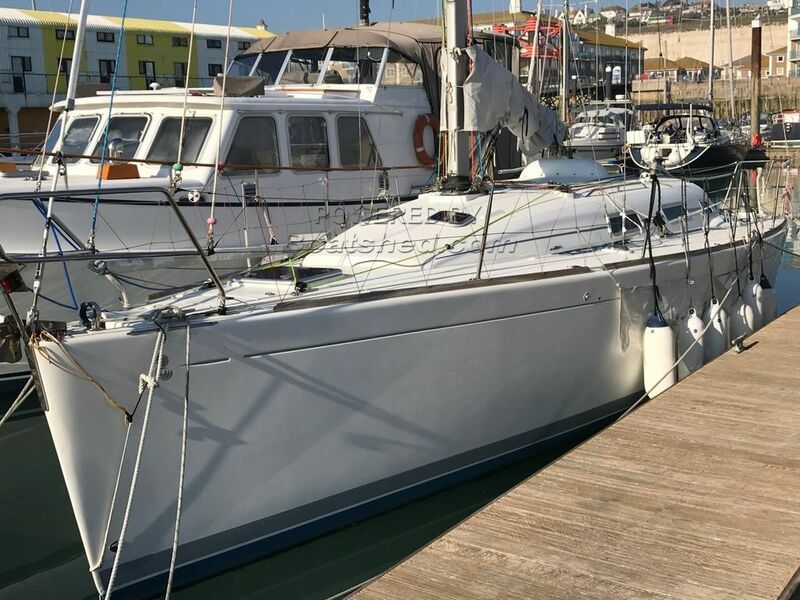 This yacht could suit anyone who's looking for regular serious racing capability and who also wants to be able to take family and friends cruising in comfort and style. This Beneteau First 36.7 has been personally photographed and viewed by Tim Kingston of Boatshed Brighton. Click here for contact details.